This plaid is pretty dull blue and grey. It’s western style and does up with snaps. In Criss Angel Is A Douche Bag (4x12), Sam starts wearing it after Jeb is hung. He changes out of it before they go see Jay at the bar in the final scene of the episode. In Clap Hands If You Believe (6x09), Sam wears this shirt the morning after Dean’s abduction until after Dean’s encounter with the tinkerbell fairy. He changes before they go to interview the fairy-enthusiast-lady. In The Girl Next Door (7x03), Sam wears this shirt when he and Dean leave town at the end of the episode and drive to their next motel. In We Need to Talk About Kevin (8x01), we see during a flashback that Sam was wearing this shirt when he accidentally ran over a dog after Dean died. In Stairway to Heaven (9x22), this shirt might be the one that Sam wears at the beginning of the episode, once he gets out of bed. It doesn’t appear to be as blue, however, so it could be yet another alternative colour version. He wears it until they arrive to meet up with Cas, at which point he has changed into a suit. 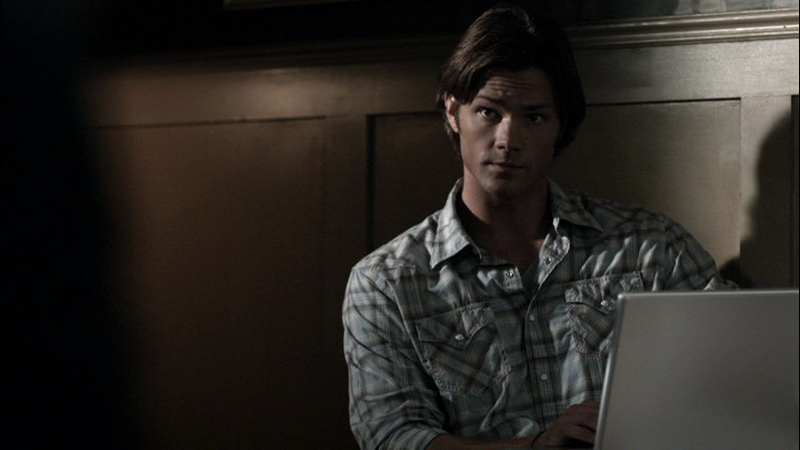 In Black (10x01), Sam is wearing this shirt when his car breaks down at the side of the road. He wears it until the end of the episode. In Reichenbach (10x02), Sam is still wearing this shirt as he walks down the road and calls Cas. He changes into a suit after he steals the truck. In There’s Something About Mary (12x21), Sam wears this shirt when they capture Toni and take her back to the Bunker. 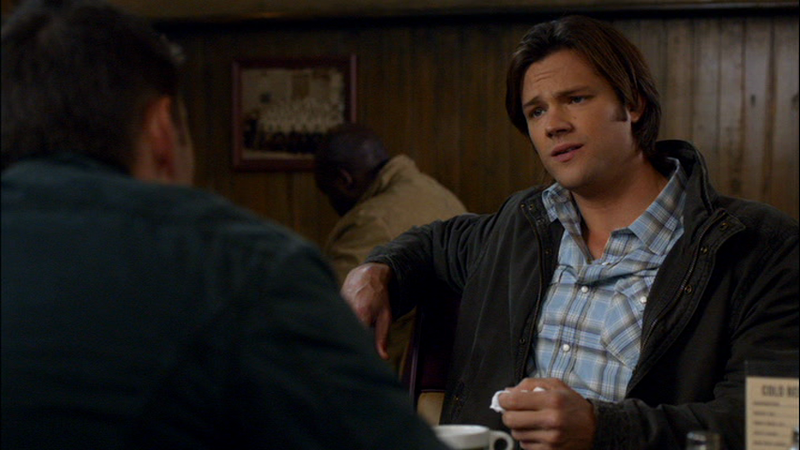 In Who We Are (12x22), Sam continues to wear this shirt for the entire episode.